Did you type “bespoke kitchen design Southampton” into your search engine to find the leading local company? If so, then you have struck gold by discovering Acorn Builders today. Our creative team looks forward to working with you soon. Call us today on 02380 243 336 to discuss your ideas with a team member! Whether you are thinking about “bespoke kitchen design Southampton” as part of a large property refurbishment or a project in its own right, you have come to the right place. 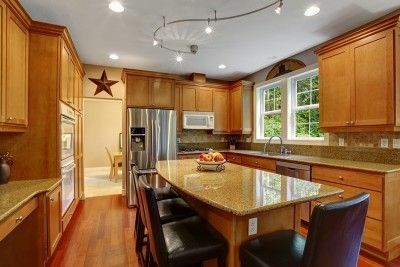 Acorn Builders is here to design, build and fit your dream kitchen that will completely transform your property. On top of designing and building the bespoke units, our Southampton kitchen fitters can also source, supply and install worktops, sinks, taps and any additional appliances. Once you have decided on your final design, we will take care of everything else. From the demolition of the existing kitchen until the final handover of the new one, we will be by your side. Many people don’t properly consider a bespoke kitchen design in Southampton because they automatically assume it will be out of their budget. The truth is that tailored designs can be achieved affordably, which is something Acorn Builders specialises in. You therefore have nothing to lose and everything to gain from getting in touch for a free quote! We would recommend all customers whether past, present or potential take some time to browse through the rest of our easily navigable website. You will be able to find a great selection of images from past projects in our bespoke kitchen design Southampton gallery. Why Choose Acorn Builders as Your Southampton Kitchen Fitters? Our Southampton kitchen fitters work quickly and efficiently. When you choose our complete package, an installation team can be available within four to six weeks, so you will not be left waiting. The Acorn Builders team has more than 25 years of experience to draw from. During our years of successful operation, we have built up a loyal client base and an enviable reputation. All of our past customers who have commissioned a bespoke kitchen design in Southampton from us would vouch for our expertise. We take great pride in the quality of our work. As a company, we also strongly believe in fair pricing. This means that we don’t hire salespeople or convince you to buy something you don’t need. We offer our professional advice and a transparent service that will help you meet all of your objectives. All work is always carried out by skilled tradesmen who have received all of the training and qualifications to work at your property. Our company’s reputation has largely been built up through referrals and recommendations, which makes us very proud. You can stop wondering who the leading provider of bespoke kitchen design Southampton is now. Contact us today and start benefiting from our expertise tomorrow! 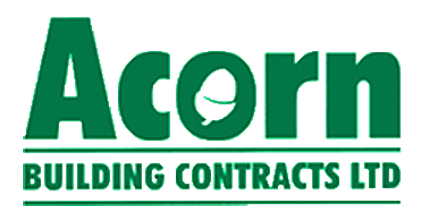 Feel free to either call us directly on 02380 243 336, e-mail your details right on over to acornbuilding@gmail.com or fill in our simple online enquiry form. We’ll get back to you very shortly!